The New York State Senate unanimously approves making the Asian Lunar New Year a recognized school holiday for New York schools statewide. Albany, New York – In growing up in the New York metro area, holidays like Yom Kippur, Rosh Hashanah, and Good Friday were days in the school year when classes were not held. One never thought twice about it given the prominent Judeo-Christian population in the area. Now the New York State Senate is progressing to do the same in recognizing the Asian Lunar New Year as a school holiday. The Lunar New Year is an exceptionally meaningful holiday celebrated by many cultures in East Asia. The New York State Senate approved the measure earlier this week by a unanimous vote. The undertaking follows the decision by the New York City public school system to recognize the Muslim holiday’s Eid al-Adha (Festival of sacrifice) on 24 September, and Eid al-Fitr (The close of Ramadan) in 2016. New York is seeking to create greater cultural accommodation for the highly diverse state, on an official basis. What Asian Nations Celebrate the Lunar New Year? The greatest human population density on Earth. The portion of Asia that includes countries such as China, Vietnam, Cambodia, Taiwan, and Thailand (among many others) contains the largest concentration of humans on Earth. The Lunar New Year is one of the most important holidays in those cultures, and it’s celebration takes precedent over work and education. The bill recently passed by the New York State Senate wishes to create formal recognition of the holiday by means of an official school holiday, extending the courtesy given to other religions in the state. The measure as well addresses the practical concerns of school attendance for a large population within the state. Why Make the Lunar New Year a School Holiday Now? The legislation in question would most greatly effect New York City, as nearly 1/8th of its population is ethnically Chinese. The proposed legislation focuses on municipalities with populations of at least one million, and an Asian population of 7.5 percent. The timeliness of the bill’s implementation is greater than it initially appears, given some schools in the New York Public School system have reported between 60 and 80 percent absentee rate during the Lunar New Year celebration. Further, there are important concerns for the school systems effected, so they may properly coordinate the day off with the state mandated minimum school days required per year. The Lunar New Year, specifically the Chinese New Year, is a two week long observance. It runs from the last day of the Lunar year to the Lantern Festival that marks its conclusion. The holiday is many centuries old, and it often focuses on honoring familial ancestors, as well as various deities. The two week celebration is also the catalyst for the largest annual migration of people on Earth, averaging two billion people in transit to celebrate with family and friends. It’s celebration is paramount to many East Asian cultures, and the New York State Assembly will soon vote on their version of the bill. A lantern display at the Lantern Festival, the conclusion of the Lunar New Year Celebration. Taipei City, Taiwan. 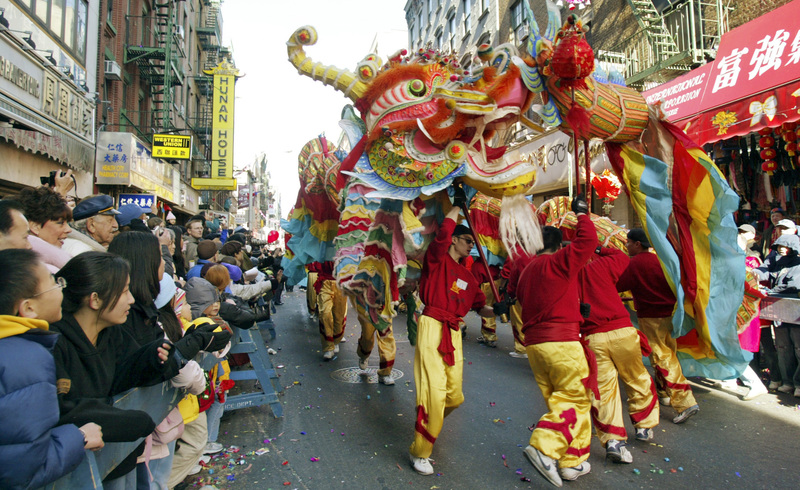 New York City Mayor Bill de Blasio’s administration asserted that it required more time to analyze the inclusion of the Lunar New Year, citing concerns regarding the issue of the state mandated minimum school days. The New York State Legislature has no such patience. The bills sponsor Assemblyman Ron Kim (D) of Queens has pursued the matter vigorously with bi-partisan support. Should the act be signed into law, it would establish the fourth religion represented in the New York City Public School system with an honored holiday. The New York Public School system is the largest in the United States.